This is the ONLY company I would hire for AC-heating service. Tom is excellent. This was a good experience. Tom was very knowledgeable about his work.He explained everything thoroughly.I appreciate him not trying to sell me products I didn’t need.He will be my a/c guy from now on. He was prompt, knowledgeable, help do research,he was just excellent!! The owner was transparent and truthful. Kenny (owner brother) did the inspection and repair. He was prompt, courteous and professional. I appreciated Lenny’s ability to show me the problem and final corrections via photos. Im not confuse on who will be getting my business in the future! BUZZELLI! Good job completed quality work on schedule and within budget. They responded to my central air conditioning problem on a holiday weekend. Showed up extremely fast despite being on another call. Didn’t even charge me a service call. Quickly repaired the broken unit. VERY reasonably priced. He took before and after pictures and also let me know the tenant flooded my carpet and she wasnt taking good care of my condo.He didnt have to go out on a limb for me.The tenant was angry he took pictures but he told her he was suppose to.He also offered me an affordable maintenance service bi annually to please my home warranty company. Great guys. Very knowledgeable about their trade. The professionals that I had were great, come in for the work, did their job and couldn’t ask for more. Tom is heaven sent!! I reached out to several companies and Buzzelli Air was the only one to show up! It turned out I was hosed by the previous person who came out two weeks prior to do the job and they truly saved the day. Not only did they do the job prefectly but were very understand towards my financial situation. No one can compare to these guys. Buzzelli Air LLC. will forever be my go to AC company if I ever have a need again! I didn’t believe there were kind, caring, or compassionate people left in the world and they proved me wrong! Words can not express how grateful I am. Thank you!! Both Tom and Ken showed up at the agreed time. Tom took the time to explain the problem and offered a cost effective solution. The job is on going but we expect that it will be complete as soon as a part arrives. Tom took the time to discuss the issues with the A/C manufacturer and the part was replaced under warranty. After receiving 4 proposals to replace our old system we chose Tom and his team and without a doubt made the right choice. Tom and his team installed a new unit and pad, new air handler, new duct work, added vents, enlarged air return all in amazing time.His assessment and proposal were accurate and his price very fair. He is a true craftsman and takes pride in his work . Tom was patient with all of our questions and concerns. He is a man of honesty and integrity and shows true appreciation for his customers. Thank you Thomas for a Beautiful job well done! Joe & Joanne G.
Tom and Ken did a great job for very reasonable money. They show explain you all problems in detail, so that you know what you are paying for. Very professional and honest. Tom is “the man”; responsive, competent, explains what & why along the way… sometimes gets bogged down with alot of talk-the-talk, but does walk the walk — AND shows up when needed. EXCELLENT! I felt he was very honest, respectful of my time. From time of my call to repairs was quick even though its was very busy season was impressive. I will be keeping his number to pass on to others. Honest, informative, and very professional. Very reputable, honest, professional, skilled and courteous. Very knowledgeable and was able to make repairs quickly. Friendly and helpful. My attic looks and feels like a new houses would. He did a great job and explained what was going on during the install. I did my due diligence and checked out Buzzelli Air from a few sources. 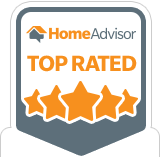 I took the glowing reviews on Home Advisor as a positive but with a small grain of salt. That grain of salt has been Removed! Tom did an excellent, thorough job and went above and beyond in a few instances just as in the other experiences indicated here. I was up on the roof the whole time and asked a lot of questions. Tom answered all my questions. The entire time he and his assistant conducted themselves professionally. I highly recommend using Buzzelli Air for any air conditioning needs! Tom is a great guy, personable, knowledgeable and very professional. Above and beyond what we expected. Tom is the only person I’ll ever have in my home again!! I’ve never met or seen such professionalism. His honesty is so nice to see in this day and age!! I’m new to AZ. I scheduled Tom to service a Gas hot air system. After he looked at the system, tried a couple of things, he showed me that my system was on a heat pump off the roof AC! The old Gas furnace in the closet wasn’t the system I needed! He set my thermostat, made sure everything worked properly, and left with a NO charge!! Tom your the best!! I got 10 quotes. Tom was by far best price and he did a great job! Tom Buzzelli is really honest and goes the extra mile to get you taken care of, a really great experience and I highly recommend this company to get the help from the heat you need! Tom was the first to contact me out of three other contractors. He was very professional and punctual. Once he came out to my home he made me feel confident that he knows what he is talking about. I will definitely recommend him to people I come across. When I am ready to proceed I am going to use Buzzelli Air. I highly recommend this company for any work on heat pumps. He is very through and was also a good worker on a very hot day. I will definitely higher him in the future for any heat or cooling work. Really happy with their service. Very professional and on time. I feel he was very thorough in his service, and he went above and beyond what he had quoted. Tom did an awesome job on replacing our a/c unit. He did work also on our ducts, moved an old return and much more. He works alone so he is very busy. The prices he charged and the excellent quality of work he did was well worth the extra day without air. I am so thankful I chose him to do the work. I was very pleased with the speed of their bids and then repairs. Thanks. Tom @ Buzzelli Air went above and beyond in fixing my swamp cooler. He noticed an uncovered air vent for my dryer and fashioned a protective hood to keep out rain and pests. Tom was very knowledgable and replaced two parts. He brought the parts down and used the amp meter to show that one was completely dead and the other, although working, was improperly installed and was completed rusted from water collection. I was completely satisfied with his work. I’m in the customer service business so when I find someone who goes above and beyond my expectations as Tom did I’m always impressed. He was responsive, he delivered exactly what he said he would when he said he would and at a very reasonable price. I will be using him for future projects because of his dedication and results. I don’t believe you go wrong using his services. Tom did an great job for me. Very Impressed. Took the time to explain and show me the items he recommended to repair for my air conditioner. Did not try and sell me something I didn’t really need. Buzzeli air proved to me they really care about their customers. Went above and beyond what I would have expected from any other HVAC contracter. This guy is straight up and honest and fair. He does not try to up sell you once he’s inside the house. His quote was 98% accurate to the actual job cost for the job…..”no upselling or smooth talking” just upfront and fair. I plan to use him again if needed. Tom the owner was very open and honest. I needed a new condenser and had 3 bids done. He did a great job answering questions. He bid my job at the lowest cost and did a great job. I was happy with the experience. Once you notified him, he called me immediately. He came over and and cleaned off the panels which was a big job, changed out the pads on my evaporative coolers (I have many of them) replaced floats and fixed leaks. (I already had the pads and floats.) In the winter when the coolers are not being used, he plans to clean out the water and dirt inside on the bottom of my coolers and when bone dry, coat them with Submarine Cooler Sealant to protect from rust. And clean off the panels again so I can paint them with an Enamel Rust-Oleum before the next season of use. His price was VERY fair for all the work he did. He is a keeper! Good down to earth guy that is willing to go the extra mile to make sure the job is done right the first time. I would recomend him to any friend or family that was having HVAC problems. Tom is very personable and knows what he’s doing.He goes over and above what the average repair man would do to fix the problem.I would recommend him to all family members & friends. Tom Buzzelli was quick to respond, professional, and honest. I was given a quote of $2700 to fix a heat pump so I got a second opinion and that’s when Tom told me that all that was needed was a new thermostat that he could install right then for $169. Thanks Home Advisors for the referral to Buzzelli Air and Tom Buzelli. Tom was the 3rd HVAC contractor we had inspect our heat pump system. He correctly diagnosed the problem and worked with the manufacturer to get the part replaced for free as it was still under warranty. The good thing about working with Buzzelli air is your are dealing with the owner/operator himself and not just a tech sent out by a large company. It allows for a smoother experience as decisions can be made immediately in regards to costs, repair procedures, etc..
Tom and Ken were at our house within an hour of calling. They found out the system just needed to be reset. They didn’t try to sell us anything or tell us something was broken when it wasn’t. They reset things,.explained our system to us (new home owners) and even replaced the light out in the attic while they were up there. Would definitely recommend and will use in future. They did a great jot job of correcting problems with the heat pump system. They took the time to explain what they were doing, and actually did more than was expected. I would highly recommend them for any HVAC work. Very professional and knowledgeable. Great job of letting me know things to do to improve the life of my a/c unit. Response by : Thank you hope to hear from you soon. I required my renovated home’s air handling system to be completely revamped because the house had large additions. However the heating/cooling system was not redone to match. They came in and worked very hard and fast to get the job done. I have hired a few contractors over the years. I have NEVER been pleased with much of anything. Theses brothers however made me ecstatic on EVERY level from quality of workmanship, to customer service, to the value. Hiring a contractor is usually a horrible experience. If you want the experience to be positive, the job to be done well, at a great price… CALL BUZZELLI, no one else!!! Thanks guys. Completed the job in a timely manor. Quality of work is great as well as the price. I made contact with Buzzelli Air one day, the next day he drove out to look at the job, and the following day he had finished the job on time and within budget. He even went above and beyond by doing some minor repairs and maintenance that he hadn’t quoted me on, but the original price didn’t change. Tom was very professional and explained the job in detail, both before and after. We are very pleased with the whole process, from start to finish, and we will definitely use Buzzelli Air again in the future. did great work for half the price. Tom was great showed up when he said he would and explained each step he was doing to determine the problem then fixed the problem for a very reasonable price. I spoke with a friend who just had the same issue and they paid almost twice as much and the other company took up a whole day. Tom from Buzzelli was in and out within an hour. Tom was very knowledgeable and checked everything to make sure nothing was missed, he was there on time and called before he arrived. Our downstair’s AC blew hot air instead of cool. I called a recommend AC Repair Co who replaced thermostat,for over $400 and quoted $225 for leak detection. Due to hi expense I called Buzzelli Air (BA). Their Thermost. replacement + leak test totaled $250. So went with BA. The downstair’s unit started blowing hot air again. BA. found loose connection on a board, miswiring of $400 TS, and a bad reversing valve. To save me $ BA min labor costs The BA found attic coils were on wrong units, came back next morning and hooked them up right free I have NEVER b4 had repair men so skilled in trouble shooting, work so hard and bill so low. 1st time using the company .They seemed committed to doing a good job ,also client education was commendable. they were very prompt and easy to talk to..did a geat job..will tell my friends about them …great guys !!!!!!!!!! I live out of state and worked with Buzzelli Air through a third person. Communication was excellent. They fixed a problem that two other air companies tried and failed. I’m thrilled. I liked the fact they didn’t trash other repair persons and did assure me the work the others had contracted to do was done and was probably necessary. The others just didn’t finish the job. The others were both called back twice. Buzzelli fixed the conditioner the first time. It works beautifully. What a relief. I can return and enjoy my Arizona home. The price was more then half of the other repair. Tom and Ken came out to look at the smaller of my 2 AC units. I thought the fan motor had gone out. The fan motor was fine. I had two capacitors pop. One on the outside unit and one in the attic. Tom and Ken found the outside issue quickly and when that didn’t resolve the problem they found the second broken one in the attic shortly after that. I had a great time talking with the two of them about their job and what they were doing. They were more than happy to explain what part goes bad, what they check for, they even shoed me the test they did on the old and new capacitors so I understood what was going on. Very nice guys. Very quick work. These were the best repairmen I’ve ever hired. They quoted me a price and stuck with it, even though it required more parts and time than they estimated! I am willing to pay a workman his due, but they went above and beyond any that I’ve ever seen before. I already made plans to use them again in the spring, and will recommend them to any friend or relative. Buzzelli Air was prompt and efficient with my repair. I will definitely call them again. This company is great! Not only did they come out when it was convient for us, but they showed up on time, looked at everything, and gave us their honest opinion. When we can afford it, we’re planning to hire them to fix the problems our original company did, and these guys are helping us with directing our complaints about the original company to the right people. Tom was AMAZING!!! It turned out that my compressor fans had died and I opted to replace my entire unit (it was from 1997). He explained to me the pros and cons of what my options were, was able to get me a quote the next day; the crane and install was completed on Monday and the additional duct work completed on Friday (the spacing was due to my request). My house cools WONDERFULLY now – I can actually use the dining room to eat in since he installed an additional vent and another return line there. I highly recommend Tom’s company and his customer service is great!! Tom did a fantastic job and we are cool again. Thanks. We had a very good experience with Bruzzelli Air. We are happy for the job they get done. Very professional people. I will recommed to friends and family. Buzelli Air was very helpful. They were the best price by far for all of the quotes I got – plus they were the only ones to check to see if my AC condenser fan motor was under warranty – which it was. Without the warrantied part, they were still almost $200 under everyone else… with the warrantied part, they were over $300 under! Great job, Buzelli Air! I am very happy with the quality of work that was done by Buzzelli Air LLC. They were prompt, proffesional and fair. I would use them again. I have used many people in the duct and Air industry for over forty years building restaurants and I have to tell you these guys really know their stuff, being a contractor myself I really ask in depth questions of persons i want to hire for a job and these guys are top notch! They do the job as per the quote with no hidden surprises, they are customer friendly, they clean up after the job is done, and they explain what the problems are and how they would go about to fix them. They have all the supplies with them when they come out and they are just great gentlemen. I would recommend this company to all of my friends, family and business. Called me right away, got there quickly, explained what was wrong and what was needed and what was not necessary,gave me good price on quote, did it as explained for the price he quoted and my ac works great. Doesn’t get much better than that. Great work at a great price without any hassles. High quality service and good price. You can trust these guys. They did a great job and for a good price. They were excellent in all aspects of the project! I would just like to take the time to say you will not find more honest, caring people in the business. Him and his brother are truely great at there profession and defintely know what they are doing when it comes to working on airconditioning or swap cooler. I would recommend calling them for all your cooling needs you will not be disappointed. The contractor responded and fixed the problem in a very timely matter for a very good price. I used this company for a second price quote on fixing or replacing my a/c unit. Overall I am satisfied with this company and would use him again. Fantastic service! Pointed out repairs that could have cost more later, and fixed one for no charge as he was already up there working. Very consistent and extremely professional. Very knowledgeable and likes what he does. Doesn’t try to upsell or suggest extra repair or servicing. Very fair on pricing and wants to insure you get a quality job. I will use this company again when need arises. Excellent service and very good at explaining what needed to be done. Called in Buzzelli to diagnose our inoperable swamp cooler and they gave us a detailed breakdown of the issues as well as a rough diagnosis of our AC unit. Very informative, kind, and helpful. We’ll definitely be considering using them for any installations/repairs. Tom was on time, checked the entire hvac system & fixed a piece of loose insulation inside the blower unit at no eixtra charge. He educated me on how the system works & made recommendations on what was needed for proper maintenance of the unit. Very satisfied with his honesty & knowledge of hvac systems. Very quick to come when called upon, in spite of furnace being 40 years old were able to get running in a short time!! Great service and value. Fast Quality service. Had my A/C up and running within a few hours! Explained in detail the air and heat system and all repairs in great detail. Tom was wonderful! Very professional, responded quickly and was great to work with long distance. I highly recommend Buzzellii Air! Tom was very good doing what others should have done. I would recommend this service to anyone!!!! If you want honest person with experience…hire these guys….Tom to be exact. AWESOME! AWESOME! When our ac went out we were worried it was going to cost a fortune to fix it and some of the quotes we were getting were only confirming our fears. Then we got a quote from Buzzelli Air and we were happy to find someone who was willing to do the work at an honest price. Tom from Buzelli Air was extremely helpful and explained everything that he was going to do and why it needed to be done, he was also very understanding of our situation and did all that he could to speed up the process. We were very pleased with the professional way we were treated and the quality of the work at a fair price. Being a non-resident, Buzzelli Air arrived exactly on the day and at the time promised. Their analysis of the ducting issues and proposed solution was reasonable and priced fairly. They worked with another plumbing contractor on-side and made suggestions for further improvements I could make myself. I will use Buzselli Air for future HVAC needs. I had Buzzelli Air come out after my Air Conditioners were installed by another company. I was not getting enough air into my master bedroom. *** from Buzzelli was able to pin point the problem. I was very impressed with his expertize in his profession. *** ended up fixing a lot of the problems with the original install. He did it for a fair price, and I would reccomend him and his company to everyone. We received 4 proposals to replace our air conditioning system and chose *** Buzzelli Air based on his knowledge, his assessment and proposal of our current system, his fair price, and his customer appreciation. *** and his team worked well together and accomplished the job in amazing time. They installed a new unit and pad, a new air handler, all new ductwork, vents, and enlarged cold air return. *** takes pride in his work and is a true craftsman. He takes time to explain to the customer the process and answers all questions with sincere honesty and patience. Without a doubt we chose the right person/business for the job. Thank you ****** and your team for a beautiful job well done! ****** & *** *. Very professional and thorough. Excellent service. Will definitely recommend to anyone.